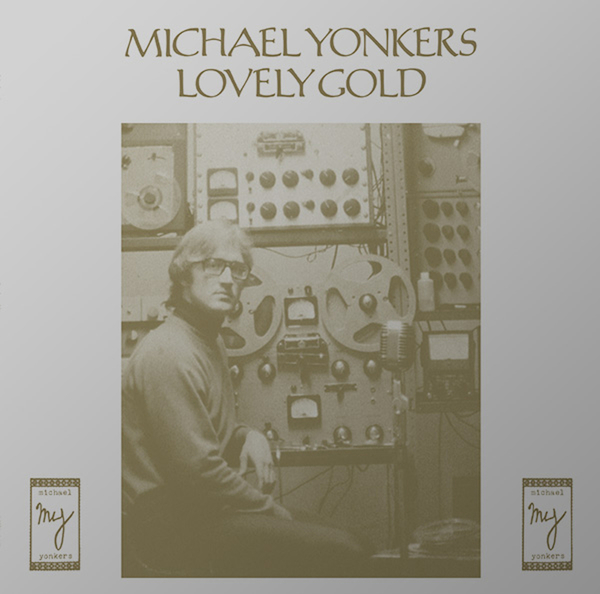 The legend of Michael Yonkers has taken its place among the great stories of underground music. 'Lovely Gold' was planned as the fourth LP in his 70s trilogy, it was never released - a true crime, because it is an exotic work of homespun brilliance. Recorded in 1977 on a four-channel 'tube type' tape recorder that Michael built himself by combining parts of other machines, it is perhaps his most multi-faceted solo album. The trademark Yonkers chug appears (though more stripped-down and dreamlike) and even some spraying acidic guitar on the title track, but the sweeping choral voice arrangements on gorgeous hymns like 'Will It Be' are entirely unique and indeed lovely creations. What's more, while digging through his archives Michael located previously lost cuts intended for the album, including the harrowing, near- Krautrock glide of 'Nevermore'.